The talented Angie Makes is back with more goodies for Access All Areas members this week. Previously, Angie kindly donated a pack of 16 watercolour floral patterns back in 2015. Members can now enjoy a brand new collection of pretty hand painted flowers, bouquets and foliage from her Watercolour Flower 3.0 Clip Art pack. It contains 38 separate leaf and flower images that pair perfectly, along with 10 additional premade floral bouquet arrangements. All the graphics are high quality 300ppi PNG images with transparent backgrounds for maximum versatility in your design projects. Angie Makes is a teensy design company specializing in girly graphics, clip art, watercolor bits, and fonts. Her Creative Market store is stocked full of hand painted resources that make it easy to achieve artistic design styles without having to pick up a paint brush! There’s a wide range of hand painted flowers available as individual clip art graphics or as seamless patterns. Combine them with her selection of elegant script typefaces to produce whimsical designs for posters, backgrounds, invitations and more! 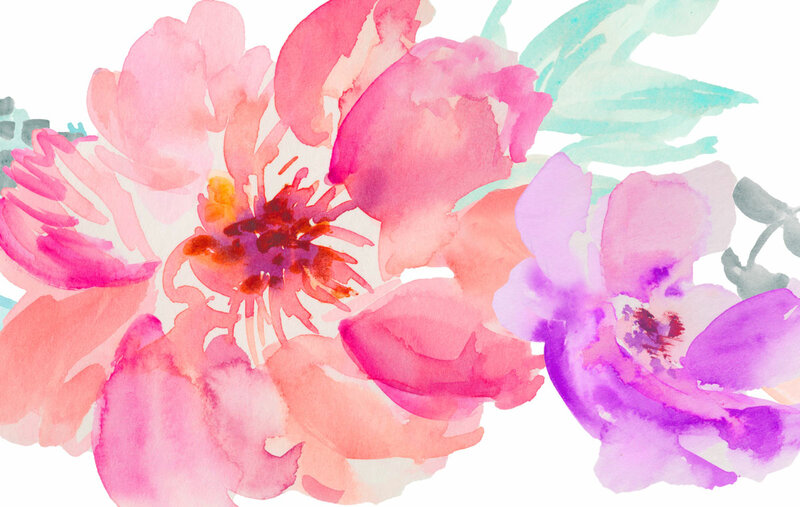 These watercolor flowers are perfect for creating elegant designs for blogs, invitations and more. The 10 prearranged bouquets allow you to quickly add beautiful floral elements to your artwork, while the 38 individual graphics give you the option to create your own compositions with a mixture of flowers, leaves and foliage. Wow! Lovely! Thank y0u Chris and Angie! these design is very nice and it is a nice work i like it too much. Thank you very much and thank you to Angie Makes for providing the pretties! Great set of hand-painted watercolor flower. This is perfect for the summer season.